In a recent article about supply chain as also in several other forums I have been talking about how the recent price increase of food articles is hitting the consumers without benefiting the farmers and producers. What does it mean? The long winded supply chain is possibly the key reason behind the price rise. The constituents of this chain protect their margin without adding any value and in the light of increasing volumes, the wastage also goes up. So, who ends up paying for it? The consumer. While the poor farmer still gets his meager few rupees per kilo as farm gate prices! Am I talking through the hat? Not really. Way back in the late 90’s the price of onions shot up to an extent that the central government was reported to have been shaky due to it. During that period the RPG Foodworld stores sold onions at retail prices which were significantly lower. Was it sold at a loss or at lower margins? Not at all. Smarter sourcing and better supply chain ensured that the chain was able to offer this value to consumers. 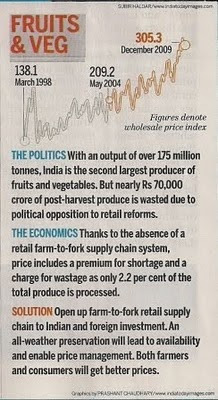 This view has been endorsed by the recent India Today, which talks about how fruit and vegetable prices can be managed and moderated by enabling Indian Retail. Wake up, Wake up policy and legislation makers. It is time to take Indian Retail forward! In one of my earlier articles about supply chain in India, I pointed out how Indian Retailers seem to have a love affair with urban shoppers to the extent that I can even dare to call it a fixation. Rural markets while not so densely populated and lacking the purchasing power of urban ones, compensate through sheer numbers. 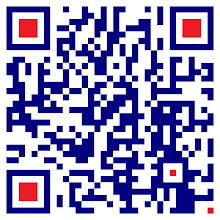 My view is that there is a huge 360 degrees opportunity in the rural areas which includes sourcing as well as selling. It is estimated that 2/3rds of the 14 Million Retail outlets are in the semi urban and rural areas. Need I say more about potential? There is most definitely an unrealised sales potential of the rural and semi-urban markets. Recently an article in “The Hindu Business Line” strongly validated my views and shows the sheer potential of these markets if anyone is ready to venture into them. The very interestingly written article details a village market and the links to the article and a photo feature of the same is as under. Lastly, if one were to forget these stalls as being independent and separate but look at it as a seamless part of a whole, what do you have? Anyone interested in this opportunity? On the 4th of Jan 2010, I got up to face the first working day of the year and decade. After a nice vacation with the family the obvious tinges of blues in the air while I was wading through the news paper. I turned the pages and suddenly my brain went into overdrive and all thoughts of blues or greens vanished when I saw the cartoon as shown below. I saw this interesting cartoon in “The Hindu” and was struck by how wonderfully the cartoonist has captured the essence of an article of mine “Mobile and Different” which was published last year in May ’09. 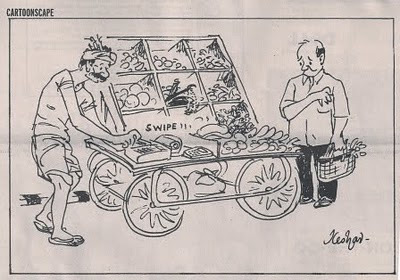 Either the cartoonist has read the article and the thought was powerful enough to inspire this cartoon or he has seen and heard of expectations and indications from consumers and vegetable cart sellers and feels that the trends indicate such developments. Either way, looks like the idea mentioned by me in 2009 is interesting and might even see the light of the day as its time seems to be coming, if not having come!